Take a role of a commando in the game Air Invasion Online! Your task is to defend a military base situated on the island of MyPlayCity. The base is attacked by the air forces of the enemy. The enemy troops are landed periodically. You are to repulse an attack to protect the base. You have weapons of all kinds at your disposal. You receive ammunition and medicines via air support. 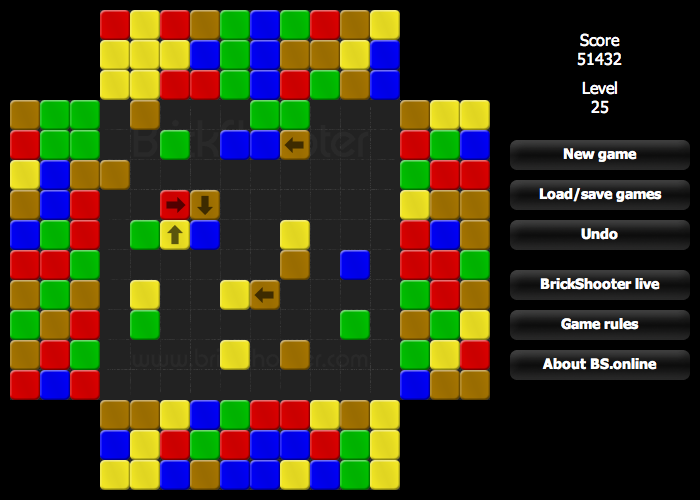 BrickShooter.online is the online version of BrickShooter you can play right in your browser. BrickShooter supports all major browsers including Internet Explorer, Safari, Firefox, and Opera. Since it's cross-platform you can enjoy BrickShooter in Windows, Linux, Mac OS X or any other operating system. Also, you can play BrickShooter.online on your Apple iPhone. Take a role of a fisherman in the game "Crazy Fishing Online". The ocean swarms with various underwater creatures, including small fish and large sharks. Your objective is to catch as much fish as time allows you. You face a certain task at each level that you are to perform in a given period of time. Join your counterparts from all over the world and beat your best score! If your score is among the Top 10, you can upload it to our Web site! Defend people from the terrorists in the game Fight Terror Online. The action is carried out on your behalf. Your aim is to destroy the detachments of the terrorists. You are located in the trench and have weapons at your disposal. Fight for the world peace! You are to repulse an attack of terrorist detachments at each level. Download Fight Terror Online and Play for Free! Flappy Bird online is freeware which can be use to play this game online with your PC, iPhone, iPad, iPod, Apple TV or Android running devices. Flappy bird has removed from Apple App Store and Google Play, so millions of this game lovers lost this game and updates. But this software will give Flappy bird again, you need to connect to the internet and run this applications. Application will update while you connect to the internet. Play Online Pool with others from all over the world. 3D & 2D Pool, realistic physics and graphics. Game types include; 8-Ball, 9-Ball, English Pool, Rotation Ball, 6-Ball, 10-Reds Snooker and lots of wild types. Stats & Level XP system which lets you access new features keeping you busy for months, as well as Tournaments and Prized events for competitive users. Try the game now free for 10-days before deciding if you wish to register. The game Need For Waves Online presents a breathtaking variety of cutter races. Take control of a super-high-speed cutter and finish first. Thirst for speed and danger makes the game more captivating. Take a new route full of obstacles in a limited period of time at each level. The obstacles reduce the speed, skid a cutter or cause a crash. The opponents cutters will stand in your way. Join your counterparts from all over the world! The game Road Attack Online presents a breathtaking variety of races including shooting. Drive a super-high-speed racing car equipped with the most advanced weapons. Take a dangerous route destroying the enemies to finish first. Thirst for speed and danger makes the game more captivating. Take a route full of obstacles in a limited period of time at each level. The opponents' cars will stand in your way trying to make you lose the game.